hey guys, long time no chat. i was lucky enough to be invited to accessorize's christmas event last night with brum bloggers, and the place was decked out with all their best christmas stuff. i put on my winter-chic outfit, which had me feeling all festive. i know it's all black, but that's my style, yano? i literally never would have even known that accessorize sold christmas baubles?! but they do. and they're friggin GORGEOUS. who wouldn't want that unicorn hanging on their tree? and of course, they had the classic christmas earrings. my mum always likes to get a pair of these for christmas day. it only comes once a year! they also had some of the coolest little bags (perfect size for going out), that were only £19 and then had 20% off on them - making them only £15.20! i mean, you'll need a new clutch this christmas season, right? even outside the bullring was decked out in its christmas garms, ready for the arrival of birmingham christmas market this thursday. i met the loooooveliest girls last night! to be honest, i was a bit worried beforehand that no one would like me. 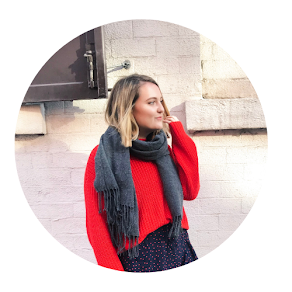 i was a bit worried everyone would be mega serious bloggers with 1 mil followers and laugh at my teeny tiny blog. but in the end everyone was so nice and normal!! it's hard to remember that bloggers are normal sometimes, since they always look amazing and seem on top of everything. but they're real. and all the brumbloggers were so sweet. i had such a lovely evening!! will you be shopping at accessorize this christmas? Sounds like you had an absolutely fantastic time! Those baubles look amazing, I'll definitely be popping in. Oomggg I ~need~ those bauble earrings that are in your main pic! I'm feeling so festive this year and it sounds like you had a great time. I'll definitely be heading to the Brum Christmas market when I come home for the holidays, Birmingham is my favourite place this time of year! Looks like you had a great time! I am loving the baubles - like you, I never knew they sold baubles in Accessorize!! Also that leopard print bag.. well that's just lovely. Aww I love Birmingham around Christmas, it always looks so pretty so I love living there. Looks like you had a fab evening, those lil Christmas earrings are cute, I usually get some which is a bit silly seeing as you wear them once a year but they add to the season and make me feel Christmassy haha. Love the baubles! Looks like you had a fab time!